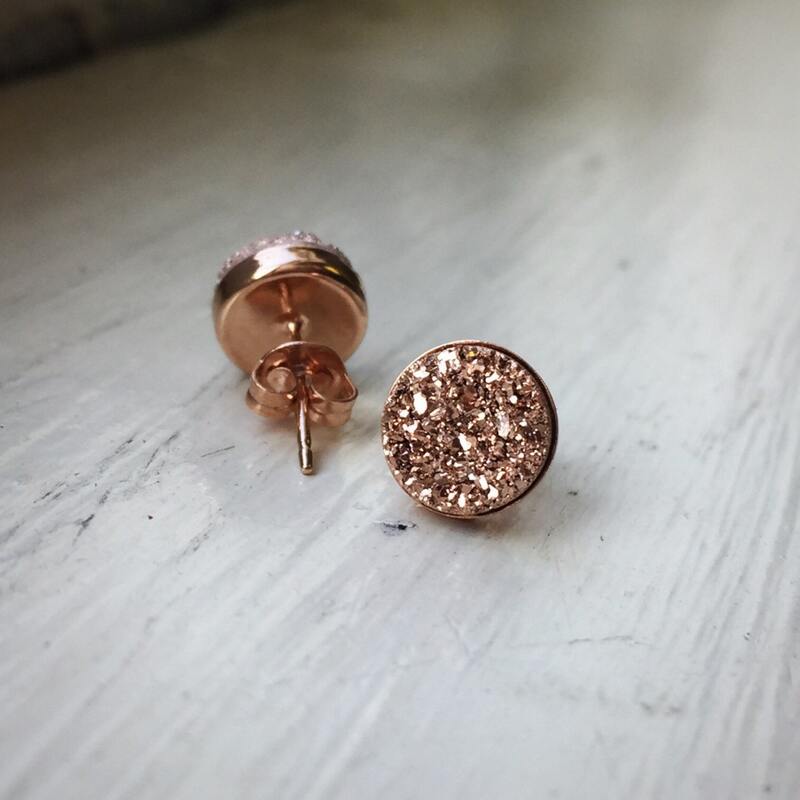 These gorgeous 8 mm stud earrings have been handmade using incredible sparkling rose gold round cut druzies set in 14K vermeil bezel posts. 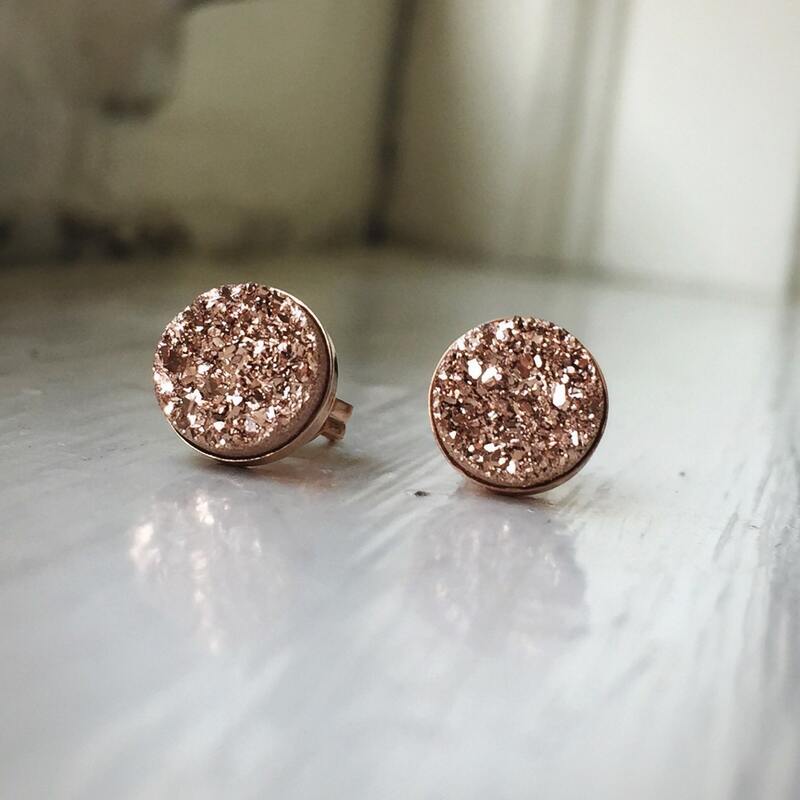 ➵ Solid Sterling Silver, 14K Yellow,14K Rose Gold plated on Sterling Silver bezel setting earring posts. Druzies are coating of fine crystals that produce the appearance of sugar or glittering stardust. The natural surface texture of druzies are similar to snow or sugar and naturally occur in a wide variety of vibrant colors, shapes and sizes with beautiful natural imperfections. Any type of mineral can become a druzy aside from just quartz, quartz are just currently the most widely available, and produce excellent specimens. 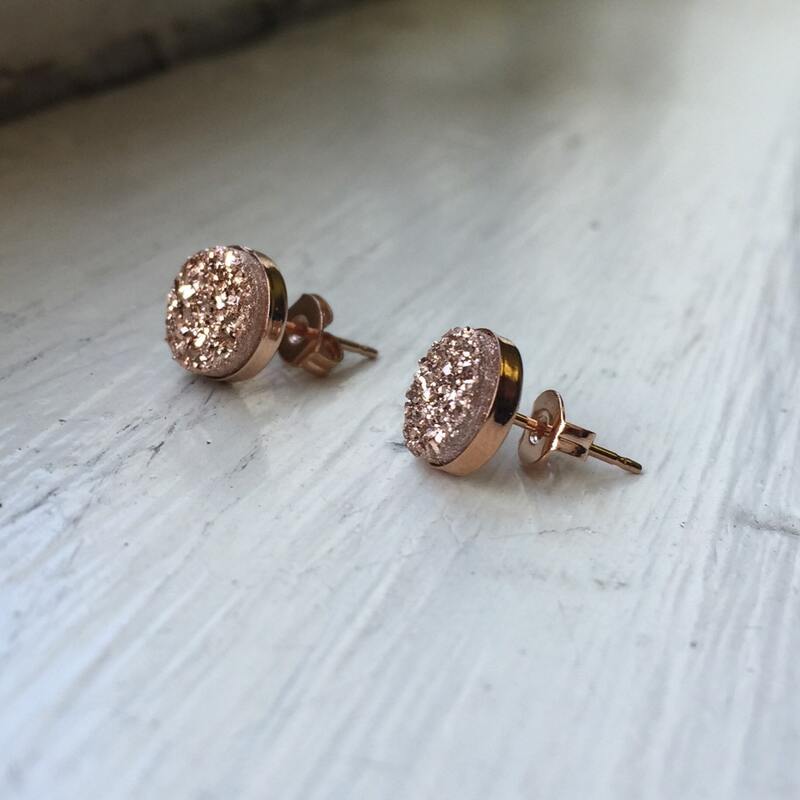 Spiritual properties of Quartz Druzy have a positive impact on the wearer. The gem calms and soothes a tensed mind making it stress free. The gem has the ability to draw out the negativity inside thereby filling one with positive energies. The gem is believed to be stabilizing to the aura. This helps in clear, pragmatic and creative thinking. These gems have metaphysical aids that help the wearer to amplify all the positive energy. The gem has a healing property and helps a lot in meditation too. 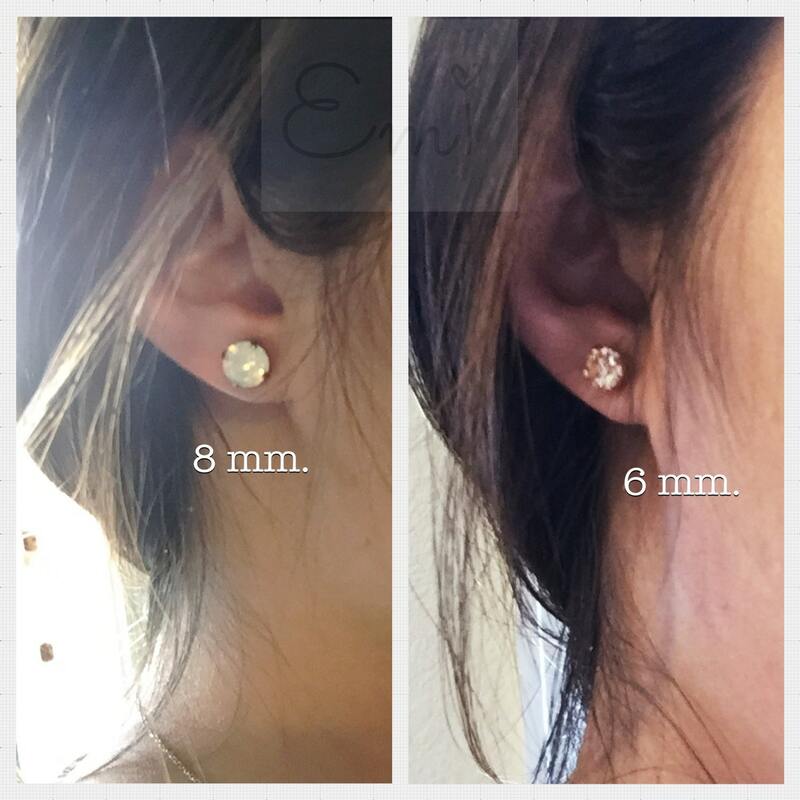 The gem also works on imbalances in the wearer’s body, keeping you fit, and fine and vitalized every time. I guarantee my handmade jewelry to be free of defects and workmanship for 30 days from date of purchase. If your jewelry breaks in that time in the course of normal wear and care, I am more then happy to fix it for free. Please contact me for more details. ***This guarantee specifically excludes faults caused by accident, neglect or misuse. After this period a fee for repairs or alterations will be charged to cover materials, time and return postage.